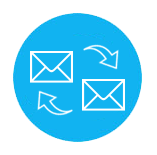 Migrate and consolidate complete mailbox content from one email format to another. 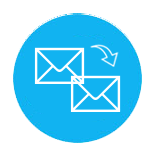 Email formats supported by more than 80+ email clients such as Microsoft Outlook, Mozilla Thunderbird, Eudora, Lotus Notes, The Bat! & many more can be dealt with. 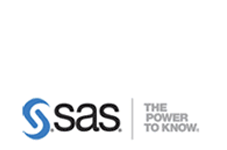 The most integrated solution supporting conversion of data between 20+ email formats. 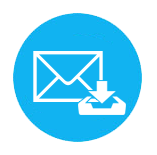 Carry out hassle – free conversions such as Outlook PST to PDF, OLM (Outlook for Mac) to PST, Exchange EDB to PST, Lotus Notes NSF to Outlook PST and many more. Your crucial email data is at risk if you are not in the habit of archiving it. Archive and create a backup of the complete data to handle the issues of accidental deletion or data loss. provides an outstanding solution of email data archiving and backup. Handling chunks of logical data and carving fruitful evidence is the most thrilling challenge for Forensicators. Get the most advanced platform equipped with case management facility, robust filters, versatile export options and flexible email views. Find the most flexible email recovery solution that guarantees recovery of data from 20+ email formats without any data loss. The software robustly works over damaged as well as corrupted file formats, thus, recovering all the email data. Awesome operability! It has been really an overwhelming experience for me to work on this product. The tool is complete one stop solution for performing the conversion of all type of file format. Great job! 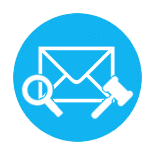 It is really impressive how a simple tool helped managing a bulk collection of emails which initially seemed impossible. Mail Pro+ is a comprehensive application that helped us to manage, export and convert emails from over 14 different mail clients into popular file formats. We are in urgent need of expert digital forensics tool such as that helped us to examine multiple file formats on single platform. The tool helps to read emails from multiple file formats without relying on any platform dependency. Our work has simplified using this tool and my hearty thanks to developers for such excellent tool. There are a large number of tools that offers data migration from one platform to another but I found MailPro heart and soul solution of data migration. Thanks to , that made export of emails from multiple emails clients easier. For investigation of multiple files, we required a full-fledged tool that could carry out the task in an efficient manner. proved to be a complete tool supporting conversion of emails of over 14 email clients in 7 different formats. Coming across such an efficient tool at such an affordable price is not less than a miracle!! Clients that we have, come not only from diverse geographical vertices but from a multitude of different industrial backgrounds too. Our specialization and work ethics in serving the clients with nothing but the best is what keeps them hooked on to us and inspires a zeal for more. We feel highly proud to work with the most renowned names that include law enforcement agencies, IT firms and many more.